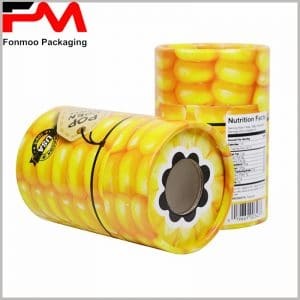 Essential oil paper tube packaging As one of the most popular product packaging, its performance in the form of thousands of styles. However, in many essential oil products cylinder packaging, it has difficult to be able to stand out and attract consumers. If you want to beat other brands in a highly competitive market, you need to design a unique packaging of essential oils based on product characteristics and target consumer customers. Because the essential oil packaging acts as an external propagandist for the product, there is only enough attraction for the product packaging to have the opportunity to gain consumer attention and purchase. As we saw this mustache essential oil paper tube packaging, the use of hot silver printing process, the image of the well-designed, making the original very common cardboard tube boxes can also play a very good publicity. The content embodied in a customized product package is not the end of the product or brand promotion, but instead serves as a starting point. Due to the age of the Internet now, web sites are printed on black essential oil packages, giving brands and products a greater opportunity to showcase to consumers and a great boost to product sales and brand building. Although the custom packaging is 250g-400g cardboard, 105g single black paper as the main raw material, but the unique design of the content displayed in the essential oil paper tube packaging, also get good results.